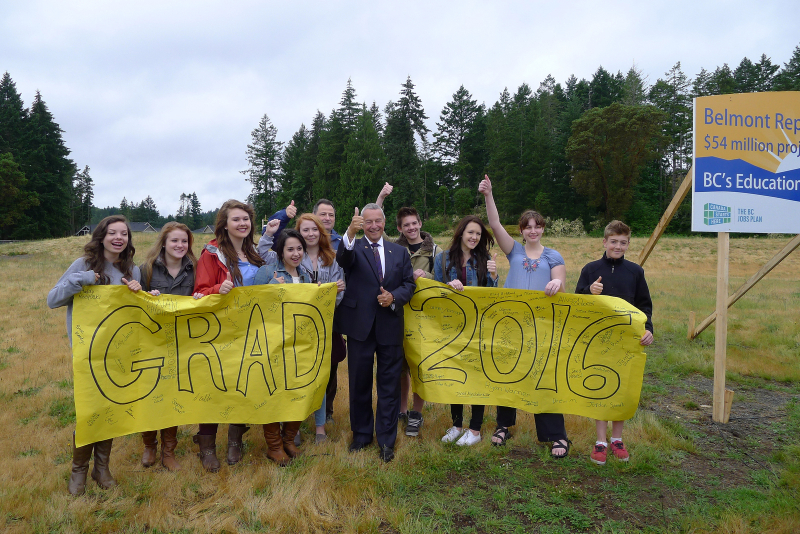 Land preparation and construction at the new Belmont Secondary begins! Movement around the site at Glen Lake is going to start up over the next two weeks. The awarded contractor, Yellowridge Construction Ltd., is cautious of neighbouring houses as well as the environment. The required blasting and clearing will occur only during the daytime hours. Yellowridge and the provincial government will post the appropriate signage and fencing will also be erected to protect the public. End of July – beginning of August: Some pieces of machinery will be brought in for necessary clearing and land preparation prior to construction. First two weeks of August: Heavy equipment will arrive and occasional blasting may occur during the daytime hours. Please make sure pets are secured so that they cannot run away if spooked by the blasting noise. The City of Langford has informed us that they will have a traffic report for the surrounding area coming soon. Although the contractor will do their best to keep noise down, please be aware that typical construction noises will begin. Please visit additional pages on this site if you’re looking for: information & updates, site plans and further contact information. Thanks for you time and understanding. 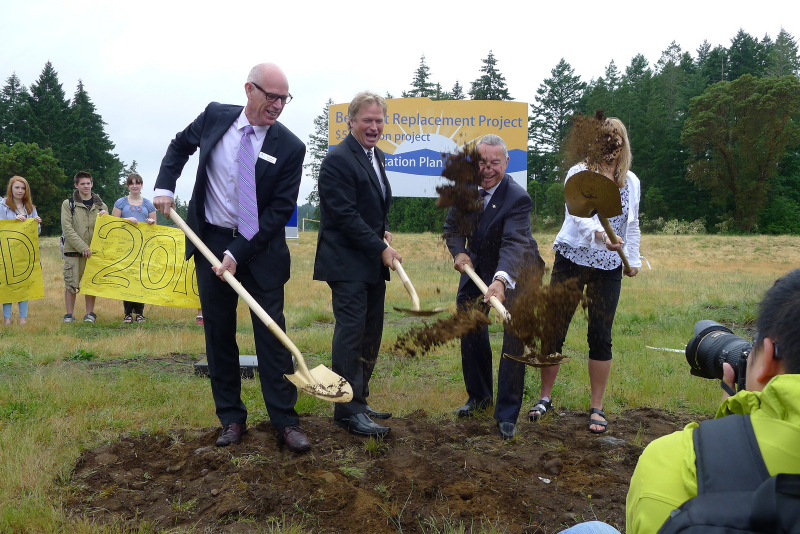 In case you missed the groundbreaking for the new Belmont on June, 27th, here are some great photos of the exciting event. 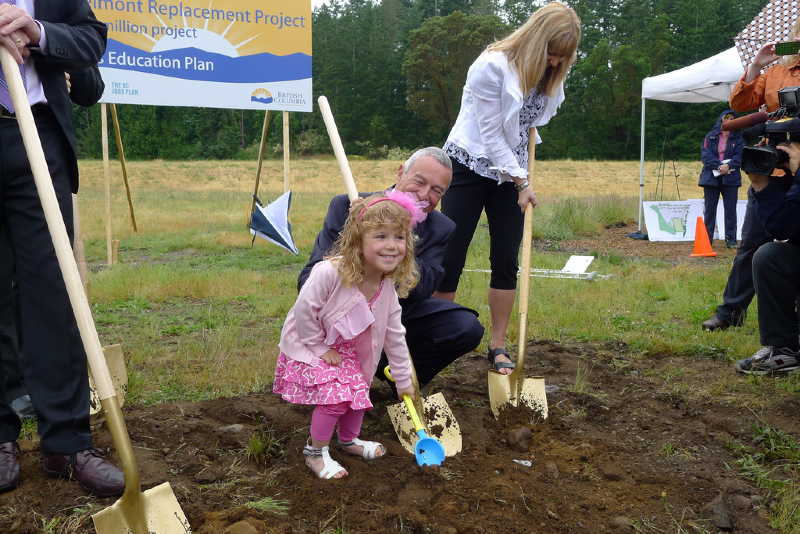 SD62 Board Chair Wendy Hobbs' granddaughter, Brooklyn helps break the ground too! 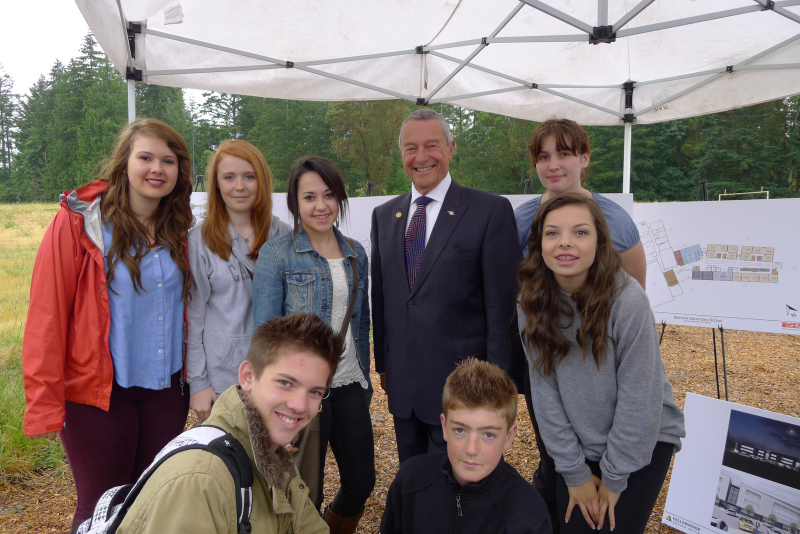 The site plans and drawings are up for both the new Belmont and Royal Bay Secondary Schools.